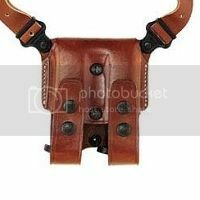 A customer asked me a question today about a Galco Miami Classic Leather Shoulder Holster. The answer actually applies to almost all of the Galco Shoulder Holsters. 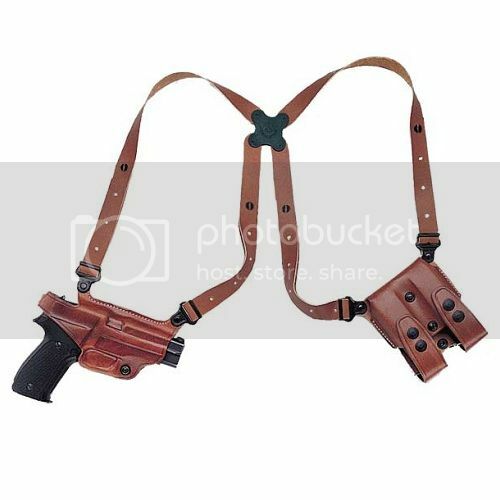 What he wanted to know was, if one of these shoulder holster systems works for several different guns in the same family, what happens with the ammo carrier if using a single stack, slimmer magazine instead of a thicker double stack mag. Does the slimmer magazine flop around inside the ammo carrier given all of the extra space? The answer is "No". Directly in the center of the ammo pouch, shown to the right, are two tension screws. With these screws, you can adjust to a tighter, snugger fit or a looser, easier to draw fit. 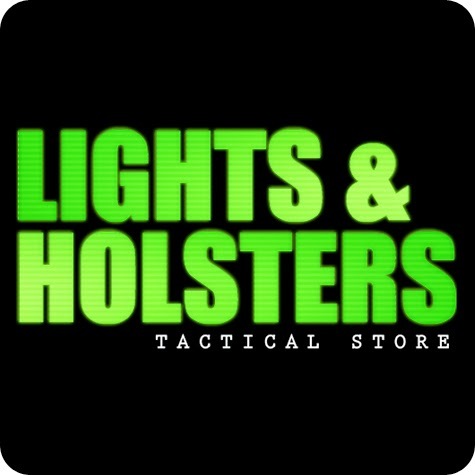 With Galco Shoulder Holsters, the possibilities are endless. They are also made out of the best quality leather. Check back frequently for discussions, tips, and product advice!